Anyone that drives a car in Tampa knows that engines get hot when they run. But did you know that engines need to be cooled to keep running? Heat inside an engine can cause the metal parts to expand, which can seize up an engine and make it stop running. It can even ruin the entire engine! Good car care requires keeping your vehicle cooling system in good condition. 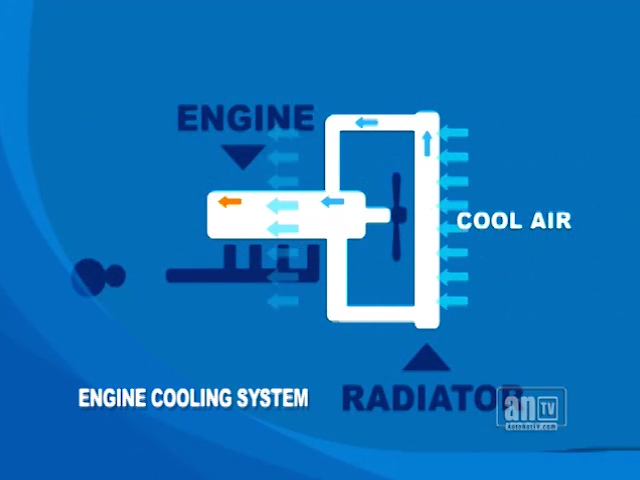 A vehicle's cooling system circulates water and antifreeze (coolant) through the engine where it absorbs heat. It then flows to the radiator where the water and antifreeze are cooled by the air that flows over the radiator. Then it circulates back into the vehicle's engine to absorb more heat. Why shouldn't Tampa auto owners just use water? Because water boils at temperatures that are often reached inside of an engine. Steam won't cool your vehicle engine and is hard to contain within the cooling system. The antifreeze keeps the water from boiling. So why do we call it antifreeze? Shouldn't it be antiboil? Truth is, the antifreeze performs another critical task. Water freezes in cold FL weather. That would spell disaster for your vehicle's engine. So antifreeze also keeps the water in your cooling system from freezing in all but the most extreme cold. Pretty neat stuff! Taking care of your cooling system is part of good preventive maintenance for your vehicle. Tampa area drivers should check coolant level often and regularly inspect your cooling system for leaks. That is just good auto advice. Your vehicle's manufacturer has maintenance requirements for draining and replacing engine coolant. Consult your owner's manual or ask your friendly and knowledgeable Tuffy Tire & Auto Service Center Tampa (East Fletcher Ave) service advisor for these recommendations, as they vary widely from among.